Control over Networks has given birth to a whole new genre of Control Systems called the Networked Control System (NCS) which has become very popular in the recent decades owing to the advantages it offers in terms of reduced wiring, increased flexibility, enhanced reliability and ease of connectivity with data acquisition and monitoring systems. However, the pitfalls in terms of data-loss and varying latency pose a series of challenges to a control systems designer in terms of deteriorating performance and resulting instability. Tackling these issues have resulted in a large number of tools and techniques to analyze and design NCS applications –starting from basic switched systems to the most modern Lifting Systems along with a host of networking technologies. This talk introduces some of these issues, challenges, tools and techniques to achieve satisfactory control over a shared data network and includes some of the recent results reported in contemporary literature e.g. techniques involving controllers with memory like the omni-present PID controller. Dr. Amitava Gupta is presently a Professor in the Department of Power Engineering and the Director of the School of Nuclear Studies and Applications at Jadavpur University, Kolkata. He earned is Bachelors in Electrical Engineering from Jadavpur University (1990), his Masters from IIT Kanpur (1992) in the Interdisciplinary Program of Nuclear Engineering & Technology with Fellowship from the Nuclear Power Corporation of India (NPCIL)/Dept. of Atomic Energy and his PhD (Engg.) from the Dept. 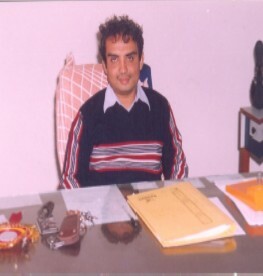 of Computer Science & Engg., Jadavpur University in 2002. He received the DAAD short term Fellowship during his doctoral study, and served as a Guest Scientist at the Institute for Informatics of the Technical University Munich, after obtaining his doctoral degree. He has been awarded the prestigious DAAD Visiting professorship twice-once in 2006 at the Institute of High Performance Computing of the University of Rostock and again in 2009 at the Institute for Informatics of the TU-Munich. His research interests include Distributed Real-time Systems, particularly applications related to Networked Control Systems, Fractional Order Control Systems and Control of Nuclear Reactors. He has a large number of completed and ongoing research projects in this area resulting in a large number of International Journal (IEEE Transactions on Nuclear Sciences and journals of the IFAC: Control Engineering Practice, Non-linear & Hybrid Systems) and Conference papers, and book chapters in edited volumes. He has delivered invited talks in different fora at both national and international destinations. Prior to joining academics, he has served as a Scientific Officer in the Plant Computer and Communications Division of the NPCIL , and as a Lead Member at the Center for Development of Advanced computing (CDAC), Bangalore, where he has been involved in the development of the CDAC Message Passing Interface (MPI), a key ingredient in India's High Performance Computing Initiative. Prof. Gupta also holds the position of an Adjunct Professor at IIT Kanpur and is a Research Ambassador of the German Academic Exchange Service (DAAD) in India.